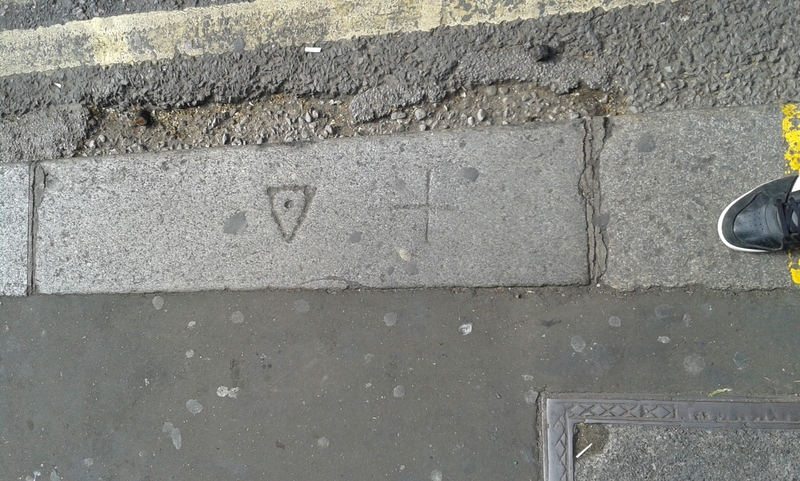 For some time I’ve been noticing these strange markings on the kerb stones of London Pavements and at first I thought they were some sort of secret cult society or something. 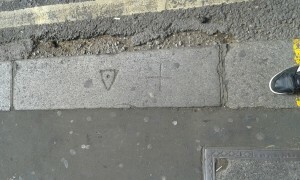 However, it seems that they are just the stone mason’s mark. That is, all of them except for the one outside the Lord Moon of The Mall pub on Whitehall. The pub lies on the site of the old admiralty building and this marking on the pavement is the mark of the British navy. Since the 16th century all British naval property has had to be marked with the navy seal, as I discovered when I went to Pitcairn Island and was shown a piece of HMAV Bounty which they had unearthed and only knew it was from The Bounty by the navy markings. One day the speaker of the House of Commons got his coach and horses stuck in Craig’s Court when visiting Earl Harrington and had to be pulled up through the roof to escape. So not long afterwards a bill was brought into Parliament to say that the dividing line between the road and where people should walk should be properly delineated and that the kerb stones and pavement outside each person’s property is their responsibility and to be maintained at all times. 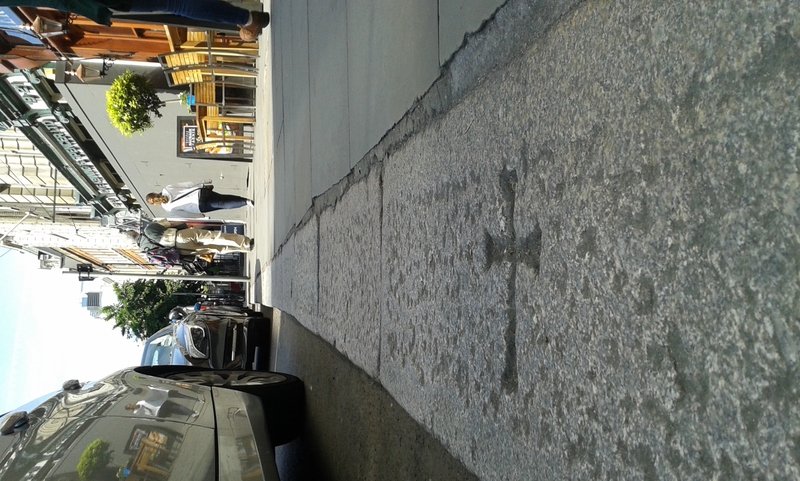 Therefore the one outside the admiralty clearly belonged to the admiralty, and as it was naval property it had to have the naval marking on it.